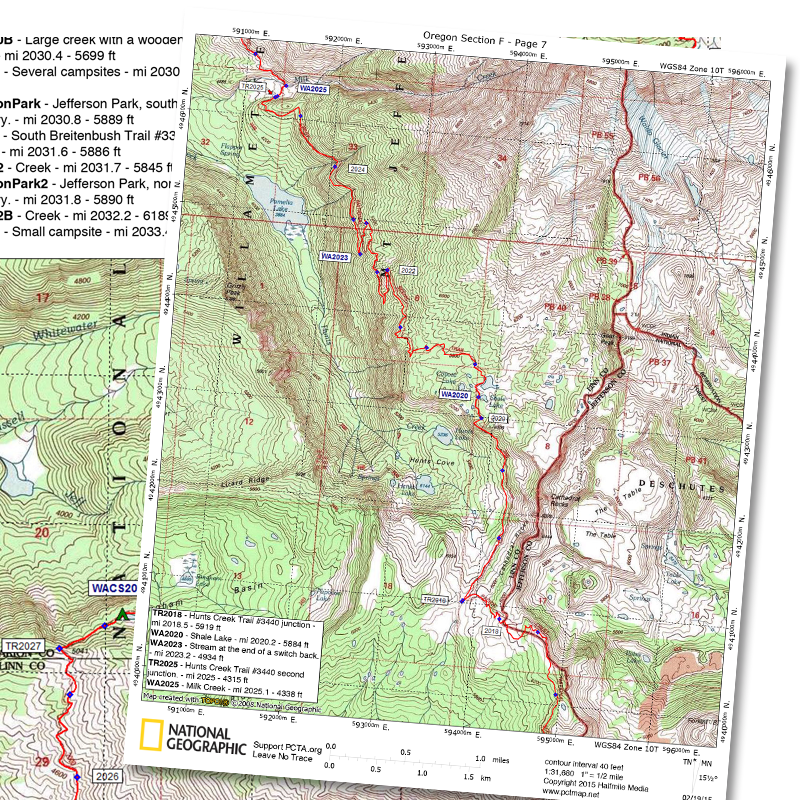 This is the most comprehensive and complete set of PCT maps available—and they’re completely FREE! PCT hiker “Halfmile” (and his partners) have thru-hiked and mapped the entire length of the PCT, from the California/Mexico border at Campo to the Washington/Canada border at Monument 78 near Manning Park. Using high-gain GPS receivers, Halfmile’s team hiked the entire trail in 2014 to assemble the most accurate PCT mileage measurement to-date. They rehiked the PCT in 2016 and filled in even more detail and corrected a few errors. The Halfmile map information was used and verified for the measurements in Hiking the Pacific Crest Trail: Oregon. You can download PDF bundles of the entire PCT, or certain trail sections, and print just the maps you need. In addition to Halfmile’s PDF maps, you can also install the Halfmile PDF App on your smartphone (available for both iPhone and Android devices). This handy app will help you track your mileage and position anywhere along the PCT, let you know how far you are from key waypoints (both north and south), and provide a summary of the elevation gain/loss between your location and your destination. 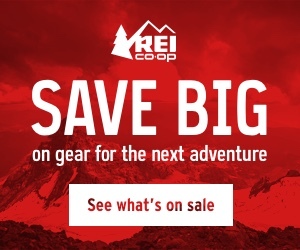 These large-format, full-color topographic maps are not so practical for on-trail use, but are extremely beneficial in helping you plot your PCT hiking adventure, whether it’s for a few days or a few weeks. 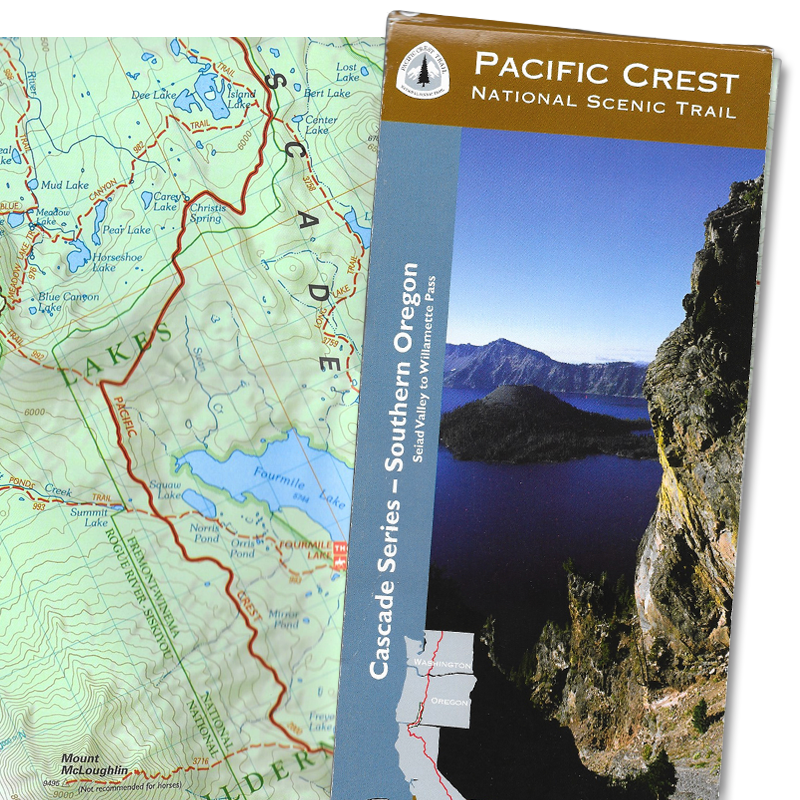 For Oregon, there are eight map segments, available in two bundles: Southern Oregon (Map #7), which begins in Seiad Valley (in California) and covers the PCT north to Willamette Pass, and Northern Oregon (Map #8), which covers the PCT from Willamette Pass to the Bridge of the Gods on the Columbia River. Each map shows the PCT as it winds its way through Oregon, and notes all the river and creek crossings (some seasonal, some no longer reliable), connecting trails and roads, and nearby peaks. On the margins of each map are informational bits on the trail, wilderness areas, local flora and fauna, climate and weather, and general hiking tips. Each map also provides condensed elevation profiles. Unfortunately, these maps do not offer any trail mileage information between junctions or significant landmarks. Also, being rather out-of-date, they do not show some of the more recent trail changes and rerouted sections. USFS PCT maps are $16 each and printed on waterproof paper. These large-format, full-color topographic maps are similar in scale to the USFS maps, with the exception of offering point-to-point mileage information. Since these are not PCT-specific maps, they also cover a much wider area (east–west), which shows many of the trailheads and access points to connecting and lateral trails, which is beneficial for planning shorter jogs along the PCT, or exploring other nearby areas. The downside to TI maps is that they don’t cover the entire PCT in the state of Oregon—yet!. They are currently working on a complete PCT map package that will cover the entire trail from Mexico to Canada. For PCT planning in Oregon, they offer four maps that can be helpful: Crater Lake National Park (#244), Bend & Three Sisters (#818), Mt. Jefferson & Mt. Washington (#819), and Mt. Hood Wilderness (#321). Each map offers bits of wilderness area information, hiking tips and Leave No Trace information, as well as local ranger and land manager contact information. Several of these maps were updated as recently as 2014, so also have more accurate trail information (names and numbers) than many older maps. Trails Illustrated maps are $10-$12 each and printed on waterproof paper. Smaller and more convenient for packing along, Green Trails topographic maps cover half of the PCT’s length through Oregon, from the Three Sisters Wilderness to the Bridge of the Gods at the Columbia River. This stretch is covered over eight maps: Three Sisters (#621), Three Fingered Jack (#589), Mt. Jefferson (#557), Breitenbush (#525), Mt. Wilson (#494), Mt. Hood (#462), Government Camp (#461), and Bonneville Dam (#429). The upside to GT maps is that they’re ideal for section-hiking portions of the PCT in any of these regions, and that they can easily be folded up and carried in your pocket. The front side of each map shows detailed trail, road and area information; the backside of each lists trails covered and nearby recreation facilities (e.g., campgrounds, shelters, resorts, etc.). The downside to GT maps is that if you’re covering a long distance, you need to carry a lot of them. Plus, they’re printed on regular paper, which is not waterproof and has a tendency to tear once the maps start to get a little worn from use. 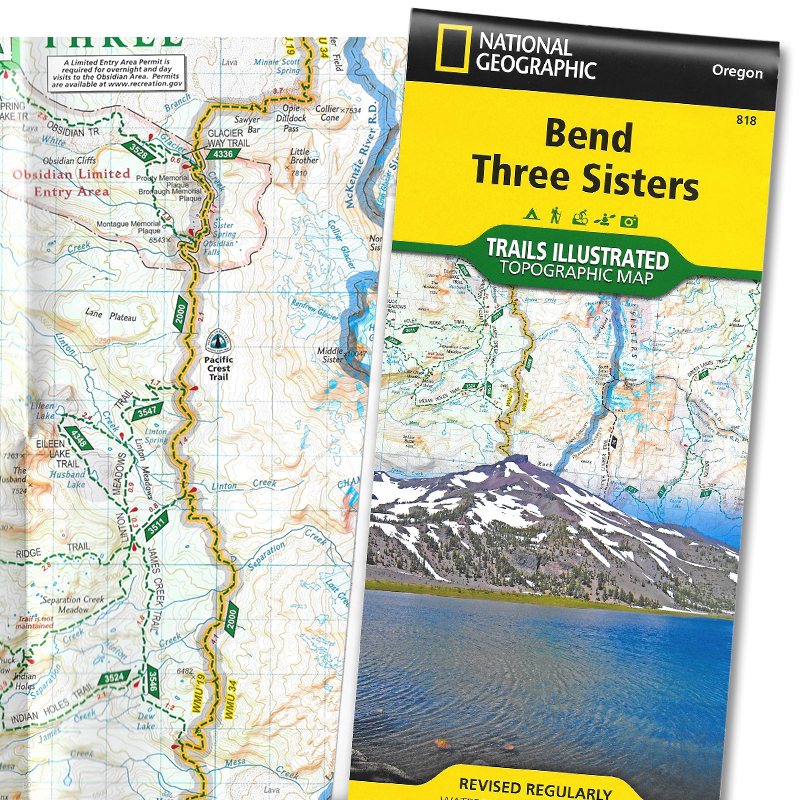 GT offers two larger maps printed on waterproof paper, Mt. Hood/Timberline Trail (#462S) and Columbia River Gorge West (#428S), that covers a small portion of the PCT. 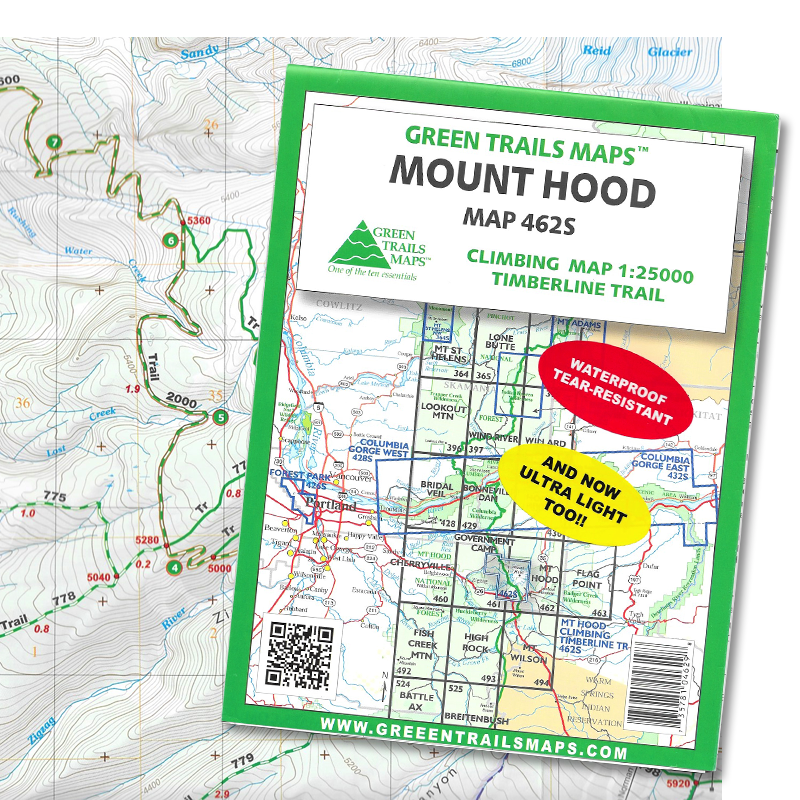 Green Trails maps are $8–$14 each.